Thank you to those who joined in last week - admittedly it was a bit of a difficult subject so thank you to those who managed it!! Hopefully this week is an easier theme for you - it is R for Red - so something red on your work please, and we are looking forward to visiting your blogs to see your work! 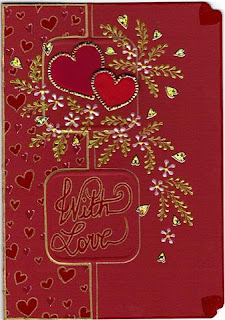 Linda has made this beautiful all red vibrant card! 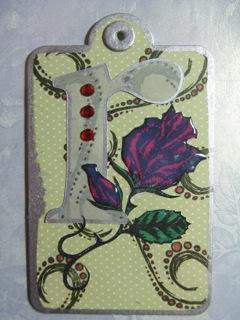 Fifi has made another of her wonderful tags, using Linda's rose stamp. 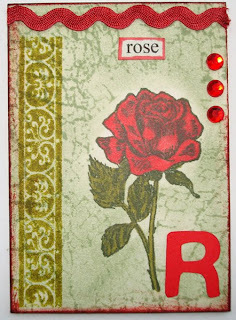 And I have made another atc for my book using a different rose stamp! Hi everyone and thank you to everyone who joined in last week - there were lots of lovely pink works of art for us to visit! 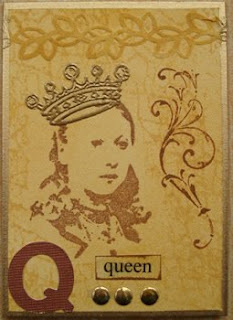 This week we are up to Q and we have gone with Q for Queen! You may have to think outside the box for this one and we are looking forward to seeing what you can come up with! 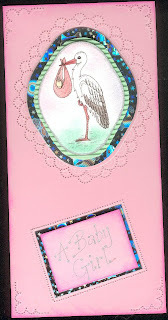 Remember, you can enter anything for the challenge, cards, atcs, inchies, LO's etc. etc. 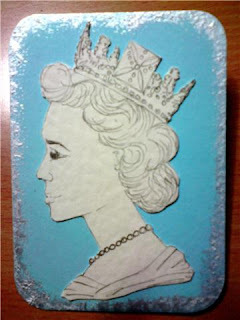 Linda has drawn a copy of the Queen from a postage stamp and made it into a beautiful Wedgewood style ATC. 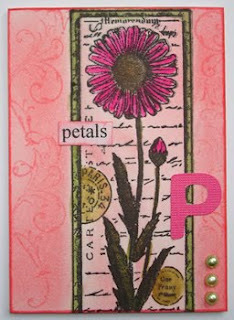 Fifi has made another gorgeous tag for her collection. 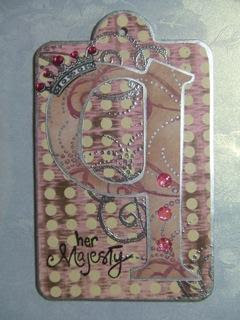 And I have made the next in my series of A - Z atcs for my book. 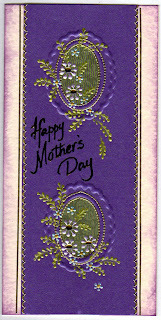 I am sooooooooooooo sorry this is late.............I have gone all through the day, not realising it is Friday, so many thanks to Lesley for pointing it out! 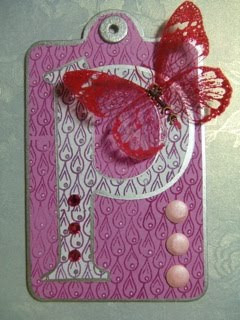 So this week, (don't all faint) I have managed to make something........pink! 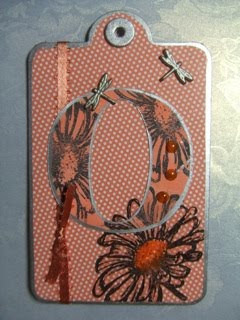 Now this week we have arrived at O which this week is for Ovals. 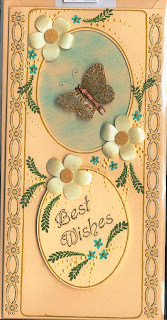 I got a bit carried away this week cos I love ovals, so here are two cards that I have made! 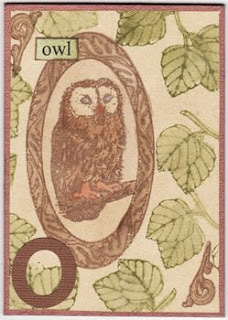 This week Lesley has done this fabulous Oval Owl ATC for her collection.